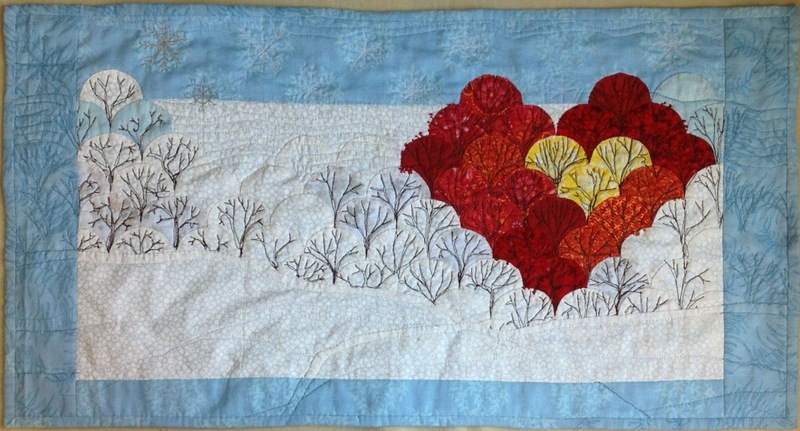 This is a very special quilt, perhaps the closest to my heart! 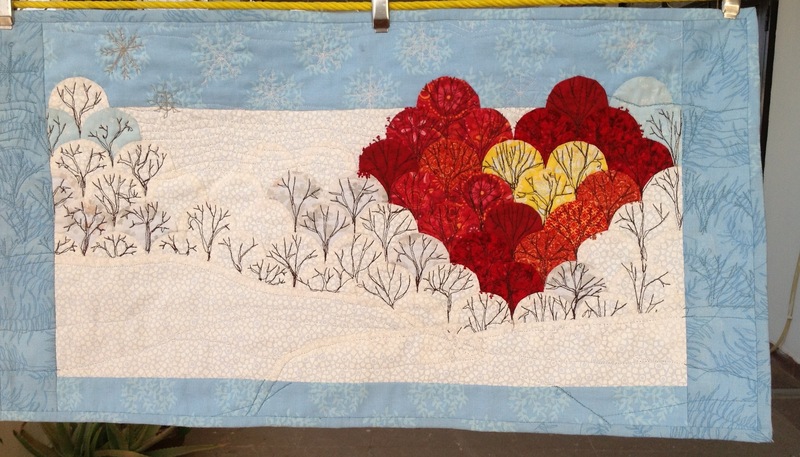 I started making it in February this year, as a Valentine’s Day challenge entry for my facebook quilting group, Desi Quilters. 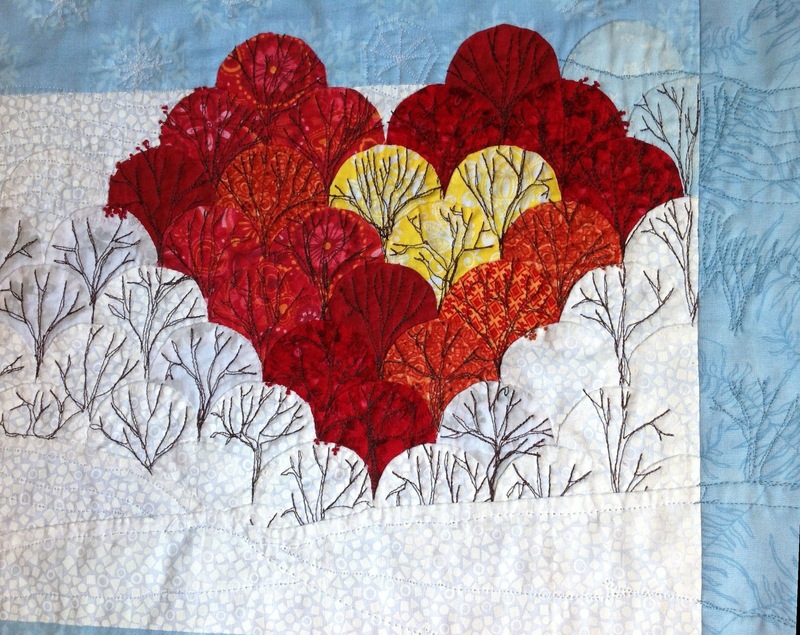 I had just managed to get the pieces ready for English paper piecing, when my daughter fell seriously ill.
She was hospitalized for 2 months, when there was someone very special who gave us faith she and we would come out of it, stronger than before. Ablaze with flowers of hope. The unfinished pieces lay there forlorn and rolled up, to emerge in September, for yet another group challenge, ‘Flowers’. Finally completed, here it is. 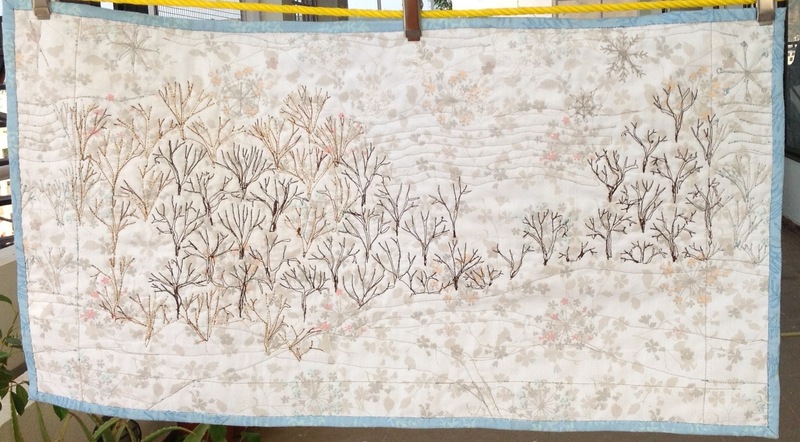 This piece is also special, because it is the first time I tried free motion quilting, quite successfully, I thought! 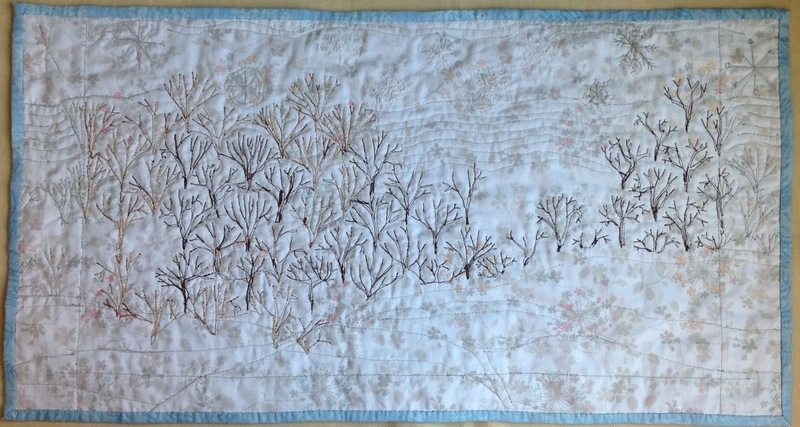 I added a few French knots to give some dimension to the flowering trees. Today we are faced with yet another situation where we need strength and hope, lots of it! My faith continues to give me belief we shall overcome this too!